TORONTO/NEW YORK (Reuters) - Cenovus Energy Inc (Toronto:CVE.TO - News) is seeking a partner to fund C$1.3 billion ($993.1 million) in costs to build the supporting infrastructure at its Narrows Lake oil sands project in Alberta, two people familiar with the matter said on Friday. The Canadian energy firm has been seeking to raise billions to reduce its debt burden after it spent C$17 billion on acquiring oil sands and natural gas assets from ConocoPhillips (:COP - News) last year. 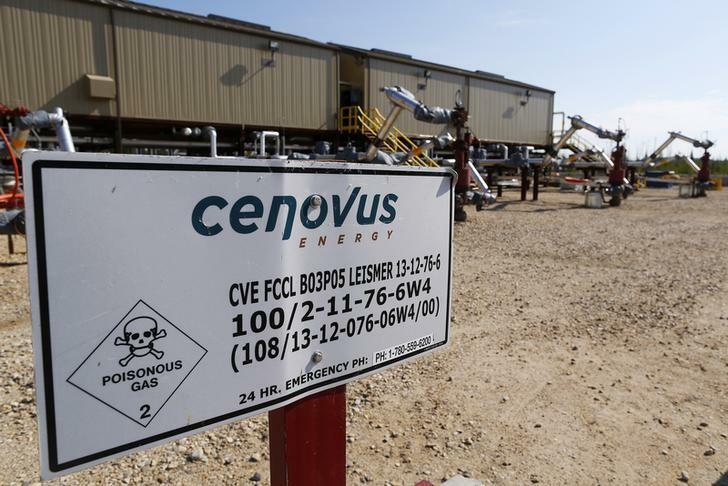 To counter shareholder concern about that deal, which doubled the company's size but strained its financial position, Cenovus has been cutting jobs and costs and selling assets. It raised nearly C$4 billion from divestments in 2017 and is eyeing further sales from its Deep Basin position this year. To avoid placing further stress on its balance sheet, Cenovus hopes to secure the funds to build infrastructure supporting the first phase of Narrows Lake from an outside partner, which would finance construction in exchange for a long-term agreement with Cenovus to utilize the assets. The first phase of Narrows Lake is expected to produce up to 65,000 barrels of oil per day, according to Cenovus' website. The company has already spent around C$700 million to advance the project, and expects it will cost a further C$1.6 billion to C$1.9 billion to get the site ready for production, according to the sources, who declined to be named as the information is private. Cenovus declined to comment for this story. Cenovus earlier this month hired Credit Suisse and RBC Capital Markets as advisers on the Narrows Lake infrastructure fundraising, and a teaser document outlining the proposal has been sent to potentially interested parties, the people said. Credit Suisse declined to comment. RBC Capital Markets did not immediately respond to a request for comment. Both strategic names and private equity firms could be interested in funding the Narrows Lake infrastructure. Such assets have attracted significant investor interest in recent years, drawn by the stable cash flows they generate. The Narrows Lake fundraising is happening at the same time as Cenovus is preparing to market a number of assets in its Deep Basin position. The company has hired BMO Capital Markets and TD Securities to each sell a separate upstream asset in the Deep Basin, the two sources said. TD declined to comment. BMO did not immediately provide a comment. This is in addition to a move late last year to appoint CIBC Capital Markets to divest gas assets in the area deemed non-core by Cenovus.